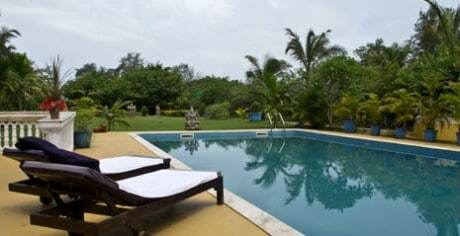 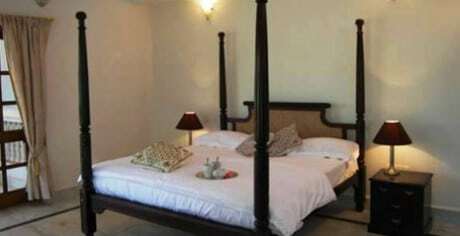 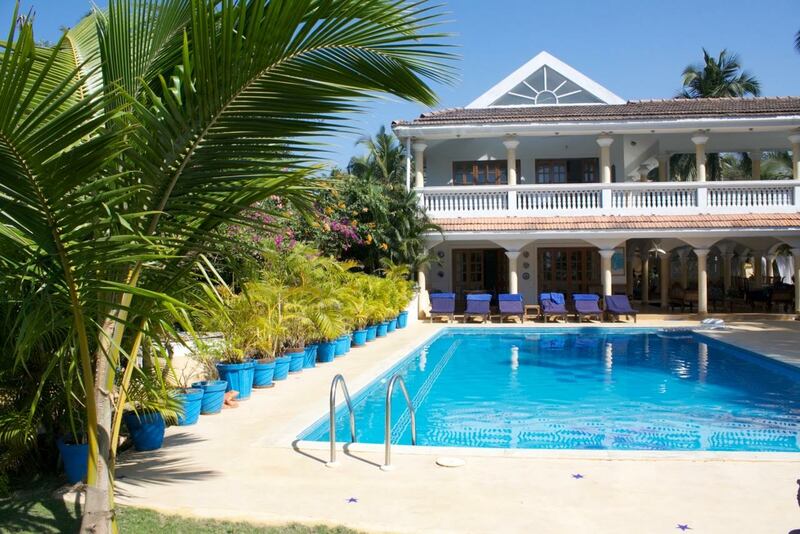 This beach villa can accommodate up to 8 people in 4 double bedrooms with 4 en-suite bathrooms. 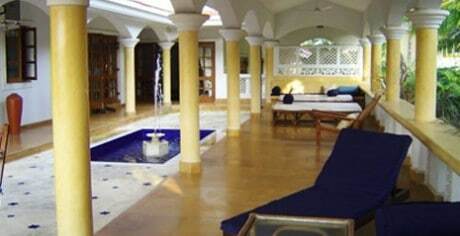 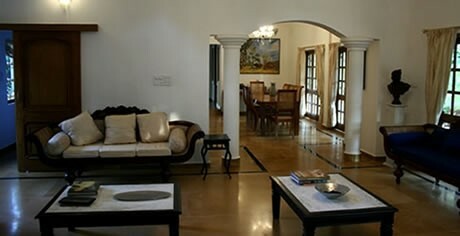 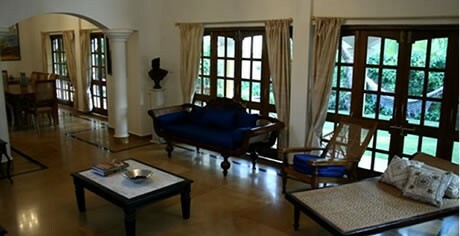 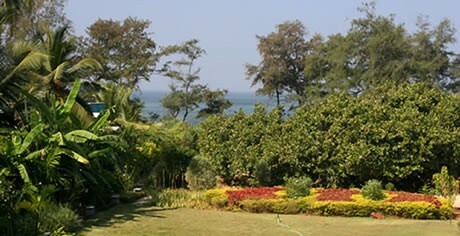 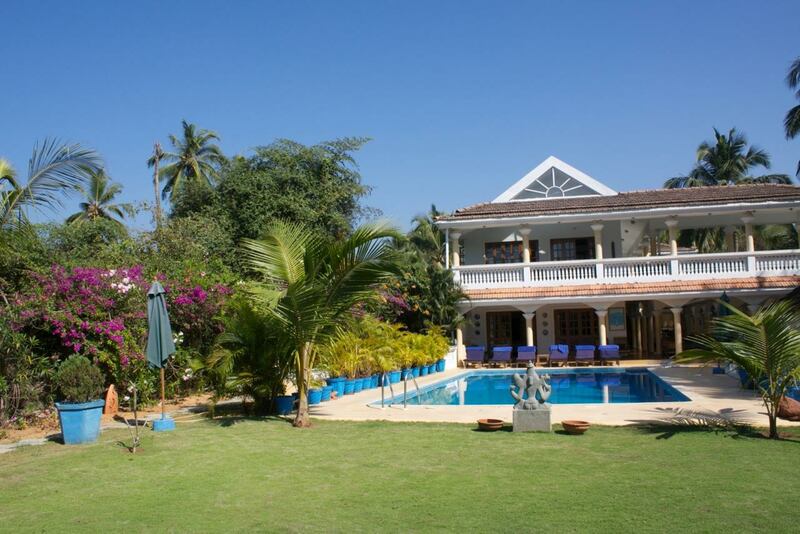 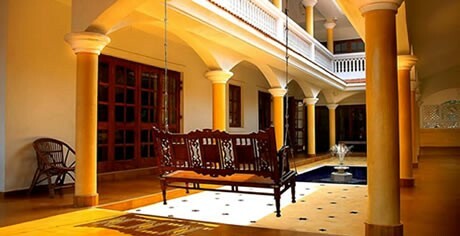 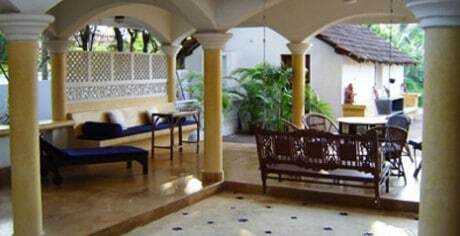 This is a superb villa in the heart of Candolim. 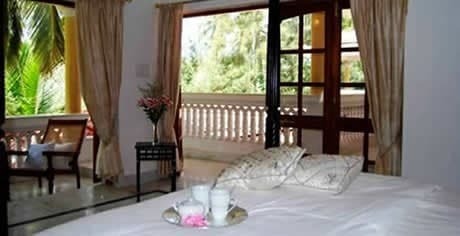 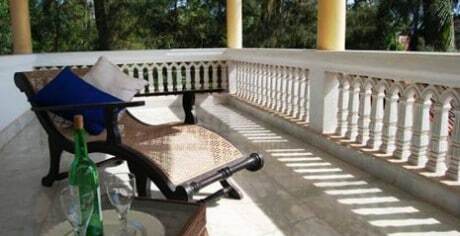 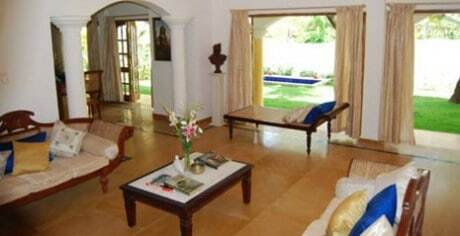 The property is one of the finest beach villas in North Goa, with views of the Arabian Sea and a beautiful large private garden which runs down to the beach with its own private beach access. 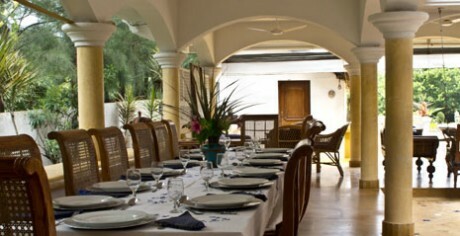 The property is surrounded on one side by covered terraces and an outdoor dining table with seating for 14 people. 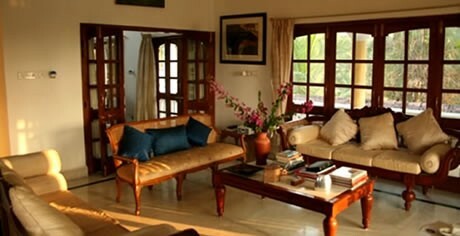 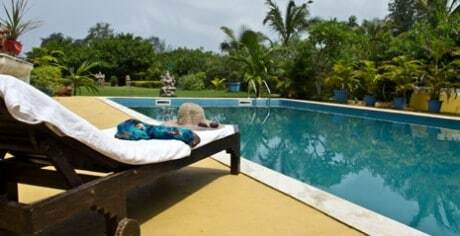 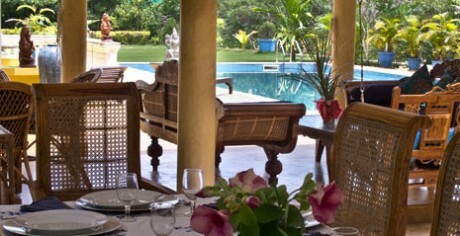 The villa is tastefully designed with artworks and furnishings carefully chosen by the owner. 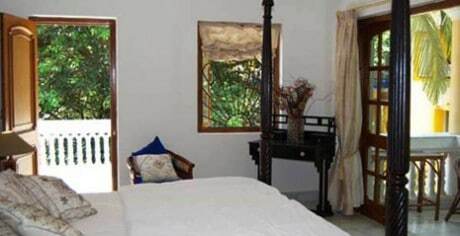 The location is at the end of a sleepy lane in a tranquil residential area and yet only a few minutes walk from the best shops, bars and restaurants of Candolim. 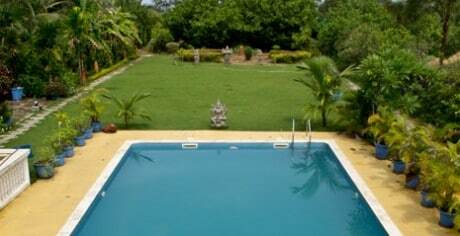 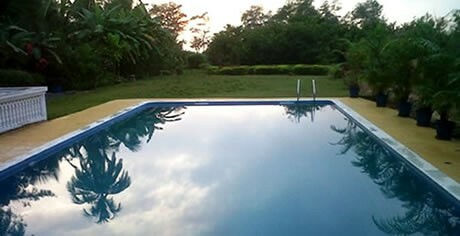 There are no roads around the border of the villa compound so the villa enjoys privacy and quiet. 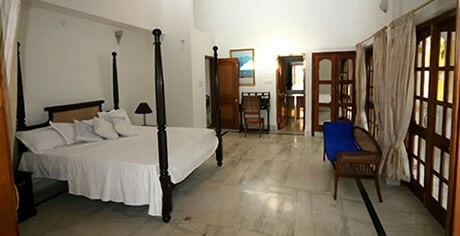 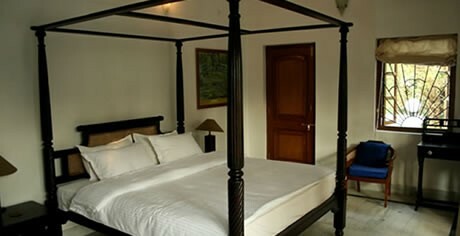 The villa sleeps up to a maximum of 8 people in 4 double bedrooms.